THE WIDE EYED WONDERS GRAPHIC POETRY PROJECT will be printed by KA-BLAM Comics. 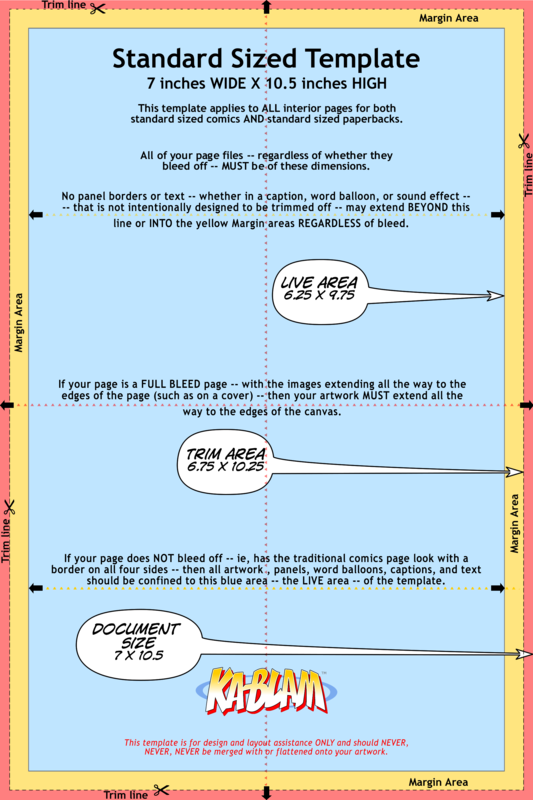 KA-BLAM has provided a template, which applies to all pages for our standard-sized comic. Click the image at the right to download the template. Click here to read KA-BLAM's Digital Specifications.